Dreamy backlit maternity photos with the most perfect bump! What's not to love?! Pregnancy and newborns aren’t quite as life-changing or mysterious by the time you get to your third child, but there is even more love to go around with two big siblings. Zara’s proud 4 year old sister in particular completely adores ‘her’ little baby, and jumped at any chance to hold her after all those months of waiting. Lace, textures and fresh flowers. We were doing both a maternity photo shoot and newborn photo shoot, and wanted to keep the colours and styling consistent across both. A maternity milk bath was the feature of the maternity studio session, so we brought fresh flowers in the same colours into Zara’s newborn photographs too. 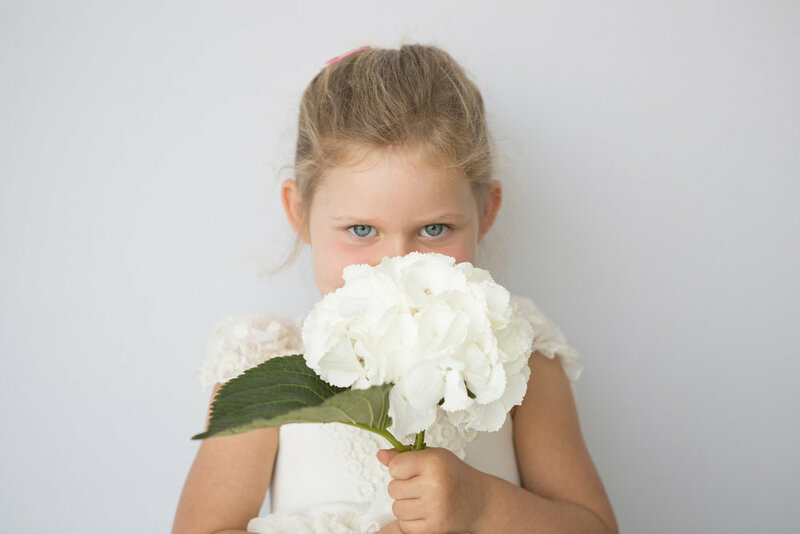 We kept all the background colours and accessories to whites and creams, other than the pinks and greens in the flowers, and focused on the textures, including a stunning lace wrap that was part of her mum’s wedding dress. 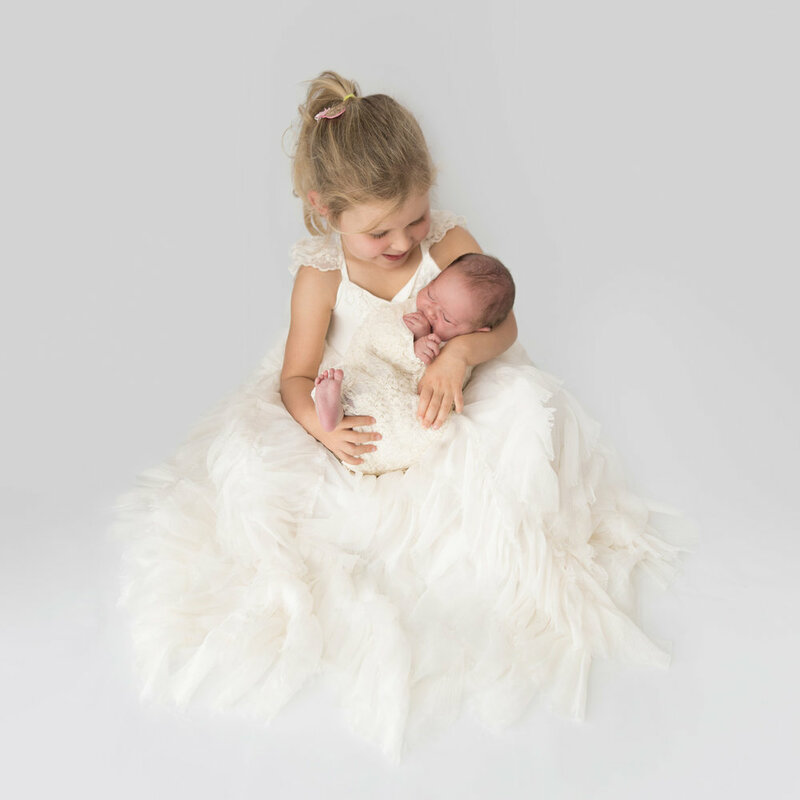 Miss 4 was very excited to be a princess for the day, with my stunning frothy frock from Dollcake Oh So Girly which tied in perfectly with the styling of the session. I don’t usually end up with so many photographs of an older sibling during a newborn session, but she was in full princess mode during Zara’s feed, and I couldn’t resist! We could have spent a whole photo shoot just with Zara's big sister! The family live in a stunning show home with high ceilings, oversized doorways, and a gorgeous contemporary finish. We wanted their artwork to tie in with this timeless but contemporary feel. The older two children have matching albums from their own newborn photography sessions, so we were aiming to capture a range of photos to use to create a third album for Zara. They also have some smaller wall art pieces from those photo shoots, and hoped to get a large framed family photo for their wall. This was the first time I had tried a milk bath photo shoot, so I’d done plenty of research online to get tips and tricks and make sure I was fully prepared. Milk powder, scissors for the flowers, a bowl for mixing milk powder in, cornflour for extra whitening – I had it all. It never even crossed my mind to check the plug! Living in a house with two children under 3 who love to squirrel things away to random places, I really should have known better! (Our family bathroom, downstairs from my Te Awamutu photography studio, became the temporary studio for this part of our photography session.) The bath plug didn’t resurface again until a couple of days after the photo shoot, but luckily our kitchen sink has the same size plug hole. Phew! This was such a fun, creative photo shoot. I adore the colour scheme and styling of both the milk bath section and the backlit, dreamy white studio shoot. We are close friends with Zara’s family, and it was fun to bounce ideas back and forth with each other for posing, accessories, and props. Zara’s newborn session went smoothly once we had completed family photos and her big siblings headed off with dad. The family and sibling photos though? 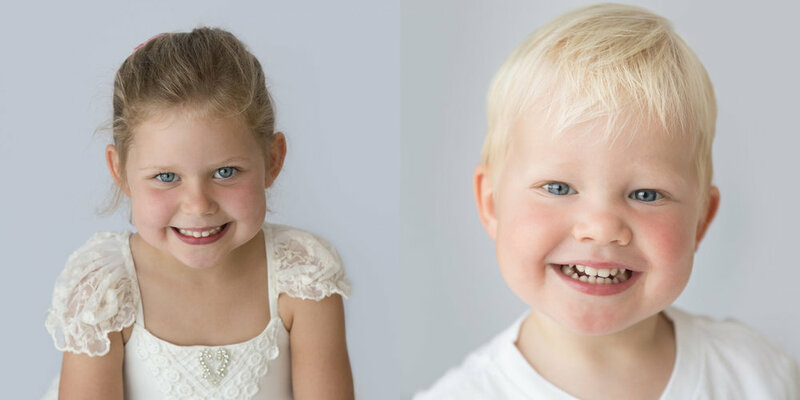 You can read more here about what photographing a family with a toddler and a newborn is really like!